For your consideration today, are 25 Horsetail Reed Grass (Equisetum hyemale) Rhizomes. This grass does have a resemblance to miniature bamboo. It will grow around waist high and is a very resilient type of grass. You can use this grass to make flower arrangements, around koi ponds, or anywhere that you would like to improve the appearance of something. REMEMBER: Since Horsetail Reed Grass can tend to be very invasive, be sure to check with laws and ordinances in your area, prior to planting in the wild!! 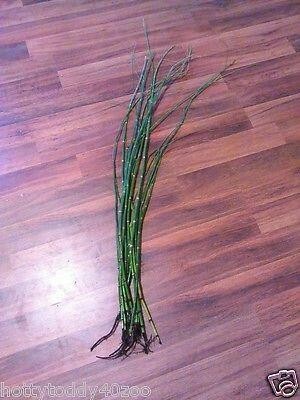 You will be receiving 25 Horsetail Reed Grass Rhizomes, with this listing!! The horsetail reed grass will grow well in USDA plant hardiness zones 3-11. 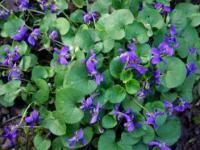 They do strive well in wet conditions, although they can grow well in dry, poor-draining soil as well. They are very common along waterways, roadsides, fields and orchards. Since horsetails grow from rhizomes, which are known for their spreading nature, container growth is recommended. 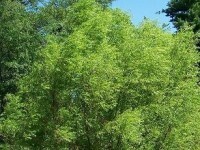 They can also spread by spores and are considered invasive in some states. 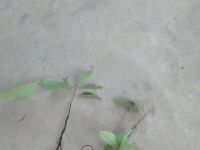 For naturally controlling or eradicating the horsetails in your landscape, do not dig them out, because chipping or cutting at the rhizomes makes the situation worse. You can simply snip off the spores once they emerge and place the spores in a plastic bag to prevent them from spreading. 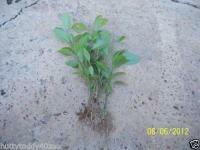 Instead, you can simply cut or prune them in a manner that fits your situation. The foliage shoots emerge in May, preceded by spore-bearing shoots in early spring. 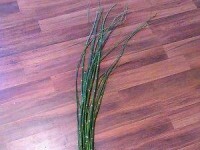 You can also cut and enjoy horsetail reeds in floral arrangements, if you so desired. For planting them in areas that are not as wet during the hotter months, you can add some leaves or mulch to help retain moisture. I will dig all of the rhizomes fresh from our yard, once your order has been placed. The package will be prepared for shipment, to ensure that it survives it's travels while in transit. I will be mailing out the package, out to you via U.S.P.S. Priority Mail. Don't let this deal pass you by. Keep checking our listings in the days ahead, as there will be more items listed on here. Thanks for viewing for listings and May God bless!! Please keep checking out our listings, as there will be more to come in the weeks ahead. HAPPY e-BAYING! !